Train Your Brain to Unlock Your Potential! NeurOptimal® Neurofeedback - works by training the brain to be more flexible and resilient. Anyone can benefit from neurofeeback therapy, just like anyone can benefit from going to the gym. 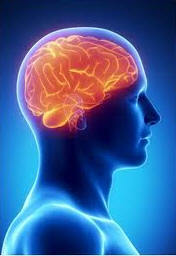 This is done by it interacting with the brain and offering the brain the information it needs to function gracefully. During training the brain uses visual and auditory information offered by NeurOptimal to re-organize itself and release old patterns of “stuckness”. You can think of all of the things you do everyday as requiring different states of consciousness or awareness, from being alert and focused all the way to being asleep. Great flexibility is required to shift your various states of awareness seamlessly from one task or activity to another continuously throughout the day. A lack of flexibility can adversely affect your performance and your mood, and leave you feeling drained and stressed at the end of the day. Most of us also, only have a very limited number of states of awareness available to us, not being able to access states of consciousness that utilize higher frequencies. A truly flexible mind allows you to respond appropriately to an increased range of situations and environments. Do you have trouble relaxing after work or getting to sleep? Do you have trouble being focused and on task during the day? This is often related to your brain being stuck in the big slow frequencies, and not shifting smoothly among many higher frequencies as you move through your daily activities. Resilience is the ability of the brain to bounce back from negative events. These negative events may range from an argument, a bad day at work or something more severe like the loss of a loved one or physical or emotional trauma. A resilient brain returns to its baseline quickly and doesn’t sabotage itself by remaining stuck on repetitive self-critical thoughts or negativity. Individuals with resilient brains report being happier people with more joy, peace and flow in their lives. NeurOptimal® monitors your brainwaves and gives subtle cues to the brain when it isn’t functioning smoothly. When the brain is performing fluidly NeurOptimal® plays music or a movie and when the brain’s activity begins to become inconsistent or less smooth the music and image is interrupted momentarily. The interruption gently cues the brain that it isn’t performing optimally. Sounds simple. That’s because it is simple. The power is in the mathematics that lie at the heart of NeurOptimal®. All of the learning happens outside your conscious awareness. Your brain learns when it’s stuck and when it is jumping around inefficiently. As your brain begins to operate more efficiently, NeurOptimal® adjusts itself automatically in response to your brain's activity, individualizing the training microsecond by microsecond to your own brain’s functioning. In this manner the learning continues based on your brain's response to the training. Think of NeurOptimal® as a personal meditation teacher, or a dance or martial arts instructor, that points out and corrects your form as you train. As you get better, the level of difficulty increases automatically. With practice your form naturally improves and becomes more fluid, helping you become more effective in your personal and professional lives. Your life begins to flow.